The Bear River Range is covered in the book on pages 364 to 367. 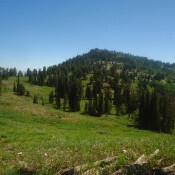 The Bear River Range is a northern extension of Utah’s Wasatch Range. 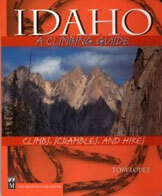 The Idaho portion of the range is 43 miles long and more than 20 miles wide with many points reaching above 9,000 feet. The name is derived from the Bear River, which loops around the range on its east, north, and west sides. 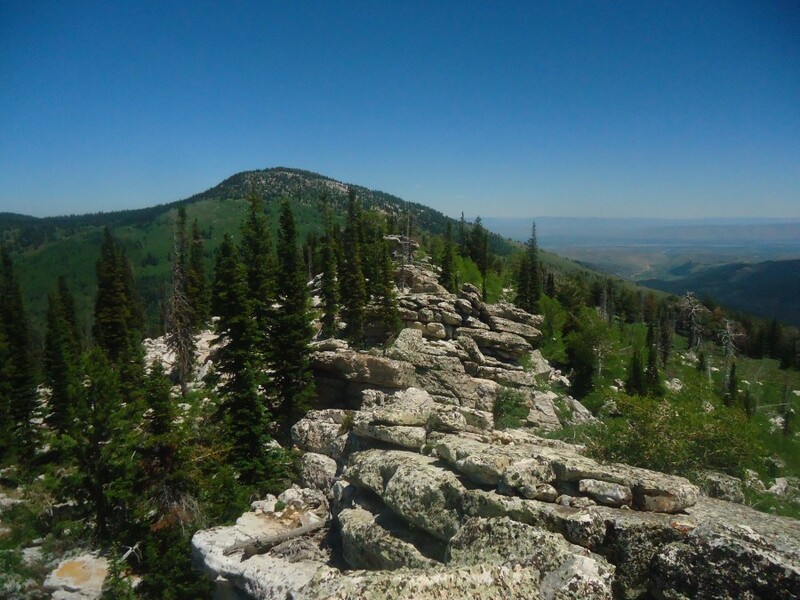 Sherman Peak is the highest point in the Bear River Range, reaching an elevation of 9,682 feet. Oxford Creek Road (B)(4) is also accessible from the northeast from the town of Swan Lake on ID-91. 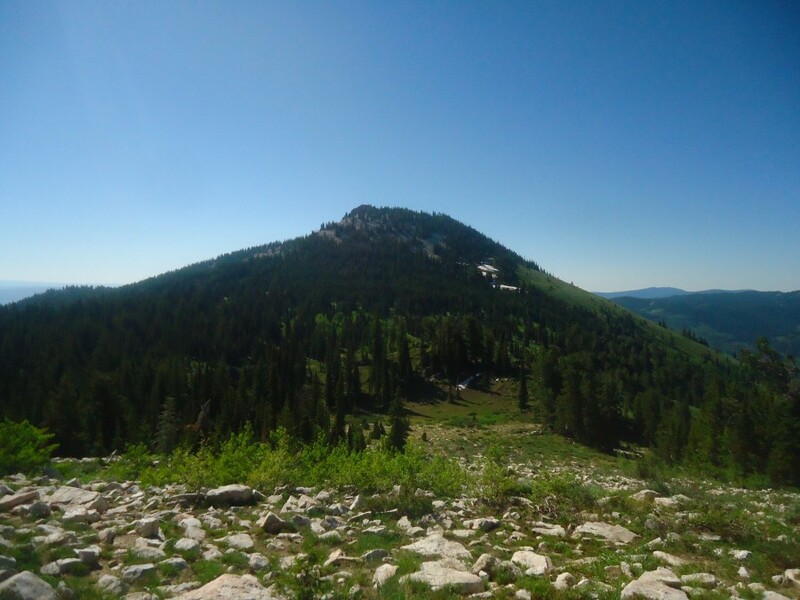 The Rockslide Canyon Cutoff Trail (B)(4)(a) no longer exists.Regrettably, it still appears on the Westside Ranger District NFS map. Private property currently blocks any access (including cross-country) to Rockslide Canyon with “NO TRESPASSING” signs at the cattle gate. Beyond the cattle gate (if you can pry it open), the road (FSR-230) is relatively flat but is very narrow and overgrown with no pullouts. It is only suitable for ATVs and MCs, in my opinion. It is better to respect your vehicle and hike the road (excellent for hiking) for 1.0 mile to a cattle gate at the Caribou National Forest boundary. This road crosses private property but is currently accessible to the public. There is a small parking area just inside the NF boundary. This is the trailhead for the Gooseberry Creek Trail (FST-230 sign at the trailhead; FST-414 on the NFS map). Here is the current access information for the North Fork St. Charles Creek Trails. From Highway 89 just north of the small hamlet of St. Charles, ID, turn W onto St. Charles Canyon Road/FSR-412. This road is well-signed for “Minnetonka Cave.” Drive 8.0 miles up this paved road to an unmarked parking area on the RHS of the road that lies between Cloverleaf Campground and North Fork Campground. The RH turnoff for each of these campgrounds is only 0.1 mile apart. The trailhead for the North Fork St. Charles Creek Trail is at the back of the North Fork Campground. There is a large parking lot at this trailhead, but you must pay a $7 day use fee to park here. If you park in the large parking area along FSR-412 just before the signed turnoff for the North Fork Campground, you can keep your hard-earned $7 in your pocket. The North Fork Campground charges $17/day for a campsite, another ripoff. As New Yorkers would say, “Fuhgeddaboudit!”. There is no FSR-716 nor is there a Big Creek picnic area anymore. It is a short, 0.2 mile walk from the free parking area along FSR-412 to the trailhead for the North Fork St. Charles Creek Trail/FST-318. 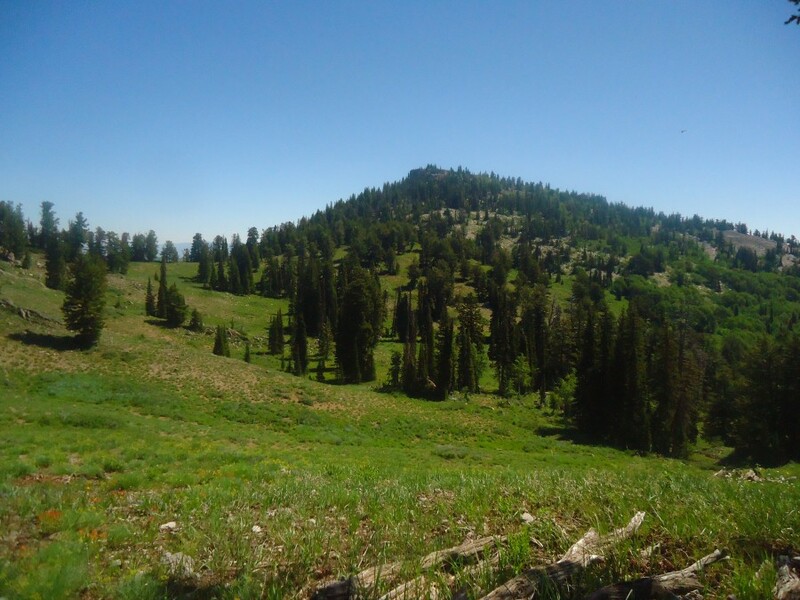 You must hike up FSR-318 to reach the signed trailhead/turnoff for the Snowslide Trail/FST-319. Please be advised that both FST-318 and FST-319 are motorcycle (MC) trails and they are used to hook up with the Highline Trail/FST-316 which is also a MC trail. If the MCers are out that day, not only will your wilderness experience be destroyed (as mine was) but you might just get run over. You won’t see any wildlife either, but you might run into some cattle, as I did on the Snowslide Trail, much to my surprise.